Attention! Your Account has been violated! 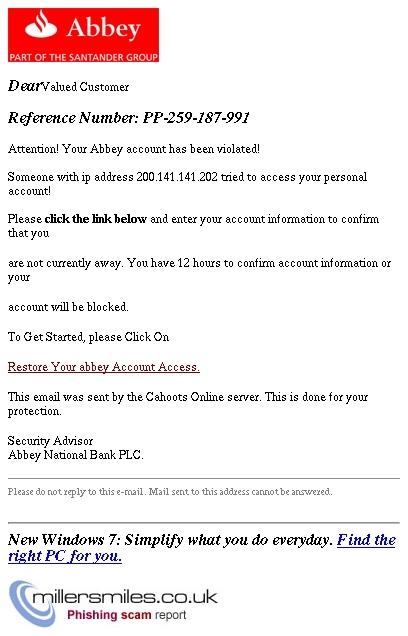 1) Restore Your abbey Account Access. tried to access your personal account!